Sometimes I miss living in the city. Everything literally within walking distance of your bedroom. You want coffee, there are options. Hungry? There are options. Time to get drunk? There are options. Seattle is filled with bars. Everything from dive bars to places that employ “mixologists” that will concoct a craft cocktail that doesn’t have a name based on you telling them what flavors you enjoy. Then there’s The Bells. Two Bells being the official name. David is the elder statesman of the bar. Doesn’t own it, but manages it to an extent. He’s been slinging drinks there the longest and will match you sarcastic comment for sarcastic comment. Mike would be the shortest lived among the crew. Not that he passed away, but shortly after making it our regular hang, he ups and moves to Panama with his wife. Always there with a smile and still couldn’t comprehend what a DILF was. Patrick started out in the kitchen and moved to the bar. You didn’t go to The Bells for the ambiance or 5-star dining, you went for the burgers. There was something special about the burgers but I couldn’t put my finger on it. They were just good. Out-of-towners may find a reason to complain about the burger but the good news is that they would eventually leave the city. Collin…another person that wouldn’t be there too long. He was let go and hopped around the city from bar to bar. Not too long after, he passed away. Nothing official, but I think it was the drinking that caught up to him…and he’s the reason why I picked up the KEXP compilation. It was a Saturday night and Collin was behind the bar. Sometimes he shuffled the tracks on his iPod and other times he would play albums from start to finish. Sometimes from bands that you hadn’t heard of yet, or ever will. Why? See rule #3 above. The Bells’ prices weren’t high, maybe par for Seattle. The beer was on the cheaper side and a slice of pie would set you back $3.14…I still get a kick out of that. Jack and I had been sitting at the bar enjoying a beer and a slice of pie that Patrick had made earlier in the day. Conversation would wax and wane depending on how our weeks had gone. Sometimes we couldn’t get a word in edge-wise, other times it was quiet and we liked it that way. 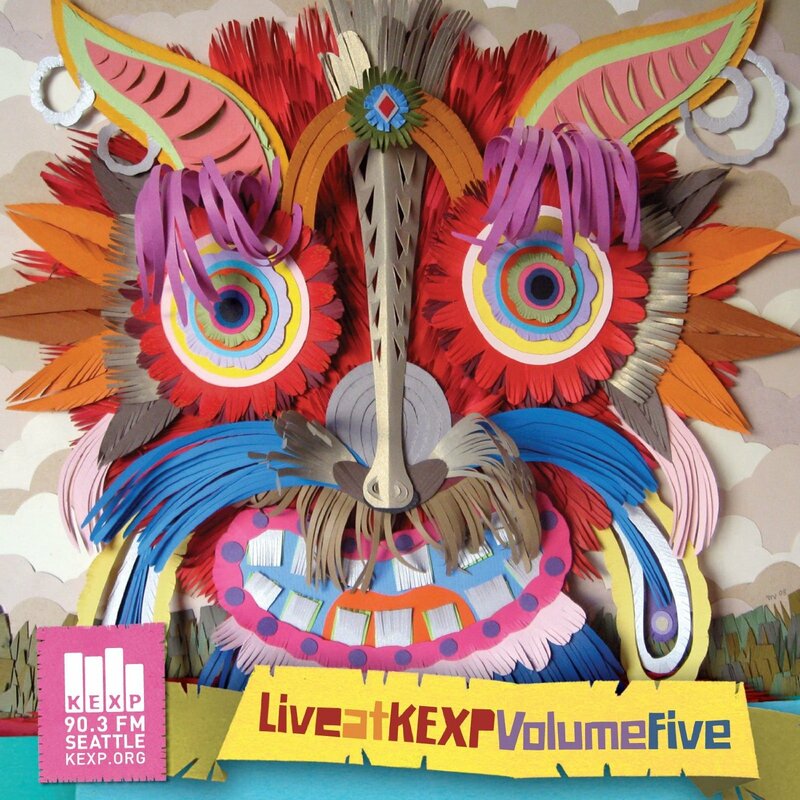 Collin was playing the Live At KEXP, Volume Five one of the nights we were there. Couldn’t say the conversation was lively, but that was okay. One of the great things about Jack and I being together is that we would have comfortable silences. We didn’t feel the need to fill every second with the sound of our own voices. We would often bring books to just sit at the bar and read…and drink from one of the four taps. I don’t know when I realized it, probably halfway through a track from Hey Marseille or Devotchka that I was enjoying the music. Not in an active listening way but in the background way where it enhances your primary experience of hanging out with a good friend.